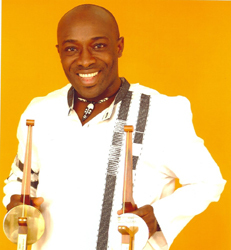 In recent times, Nigerian entertainers have continued to boldly share their thoughts on the APC-Buhari led government and Bonsue fuji musician, Adewale Ayuba is not left out. Sharing his opinion on the Buhari led government so far during a chat with Showtime; Ayuba explained how Buhari’s fight against corruption has affected his fortunes. He added that he hasn’t benefited from Buhari’s government financially , but asserted that he would still support him in the forthcoming presidential elections. “Rome wasn’t built in a day. If there is continuity, of course I will vote for Buhari again. Nigeria must be better and that’s the most important thing”, he said.